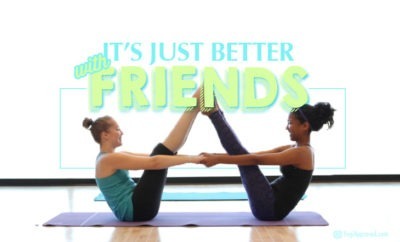 At a yoga festival you can expect to connect to yourself and others, push yourself to your limits, and, of course, a hell of a lot of yoga! 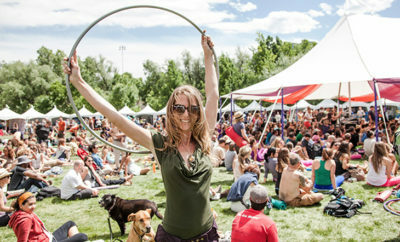 Many yoga festivals also offer additional attractions like art and music. To find the best yoga festival for you, think about the aspects you like most about yoga. Would you enjoy spending hours in one yoga class? Or would you enjoy diving deeper into the spirituality and history of yoga with workshops? The Eastern region of the United States includes states along the coast from New York to Florida. These states tend to be a bit more humid than the rest of the United States, so be sure to wear light, flowy clothing! If you live in the East, or just want a reason to travel that way, this list is for you! 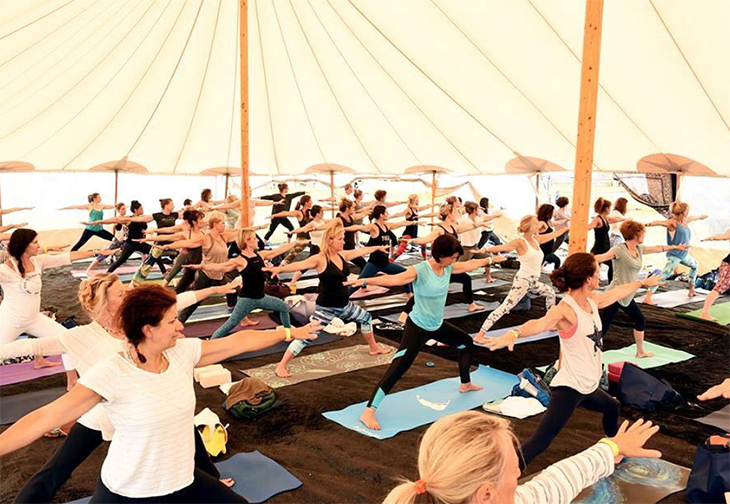 We’ve researched and compiled 10 yoga festivals in the East that are absolutely worth attending. Want to head out West instead? Here’s our list of yoga festivals over towards the West Coast. 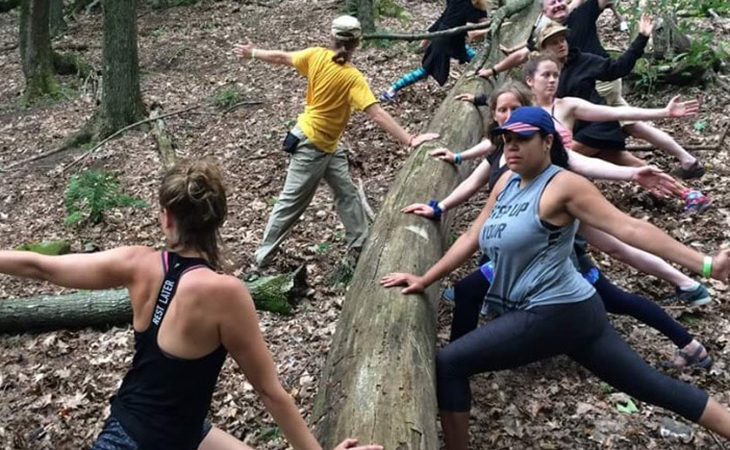 Roots of Love Yoga Festival is a fundraiser for Roots of Recovery, an organization of women helping other women on the path to recovery from alcohol and other drug addictions. This festival has yoga for every level of practitioner, including children’s activities. 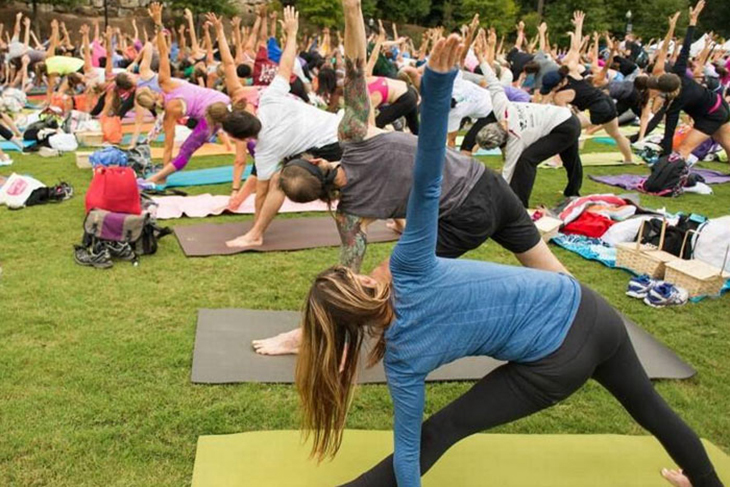 Shake your asana and enjoy dancing, yoga, and a food truck rally. 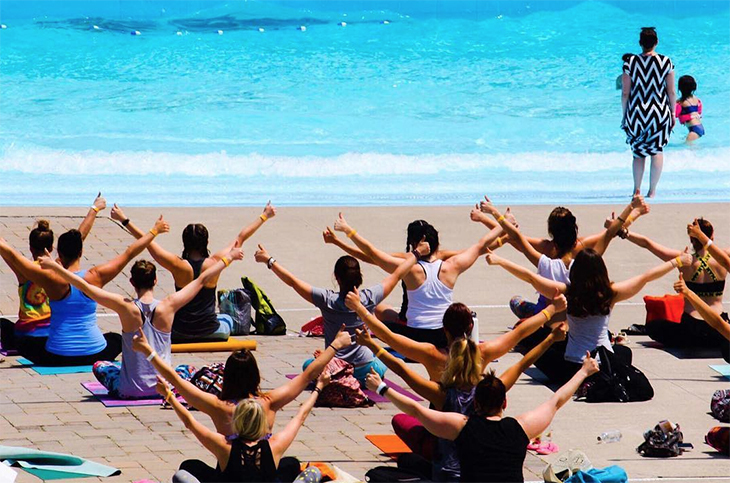 Nepa Yoga Festival at Montage Mountain is for yogis at every level, from beginner to advanced. Aside from yoga, your day will be filled with inspirational speakers, a healing tent, healthy food, slacklining, and more. The more being . . . a water park! 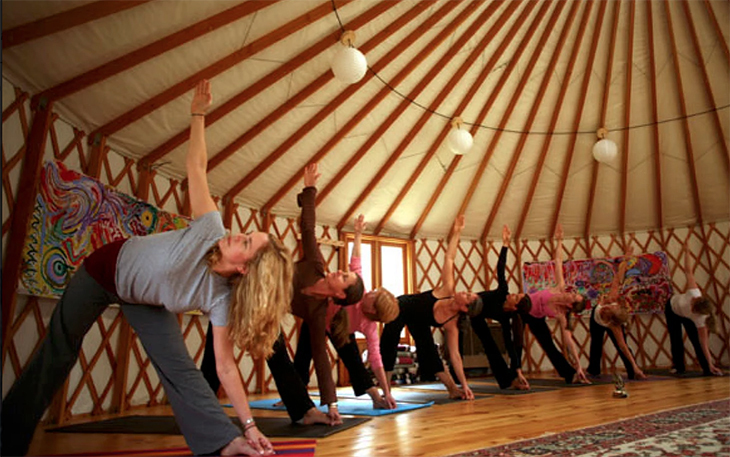 New York State Yoga Festival is easily the largest yoga festival in Upstate New York. The festival is held at Letchworth State Park, which is aptly nicknamed the “Grand Canyon of the East.” Choose from yoga classes offered all day against this stunning backdrop, listen to live music, shop yoga vendors, and eat some delicious, healthy food. Have you ever wished for the opportunity to take a class with Tao Porchon-Lynch? You can at Nantucket Yoga Festival! After your workshops and classes at Bartlett’s Ocean View Farm, stick around for some farm-fresh food to refuel you. This year especially, make sure you make it to the opening ceremony – it’s Tao’s 100th birthday party! 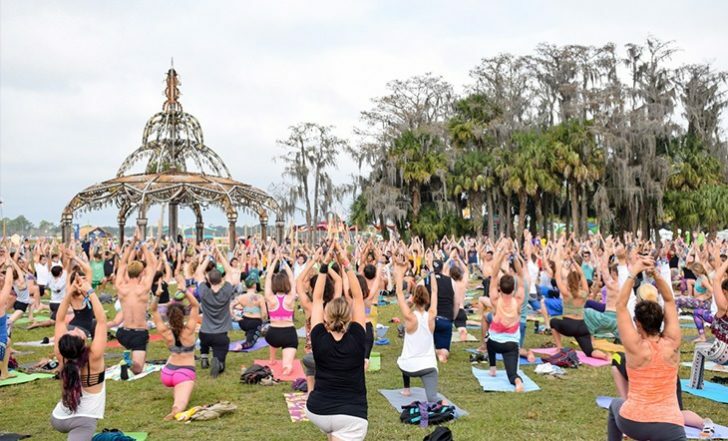 A community of free-spirited yogis, Yoga Tribe Festival is hosted at The Sanctuary, a 40-acre land preserve and solar-powered community. The mission of The Sanctuary, and the festival, is to live in complete harmony with the earth. 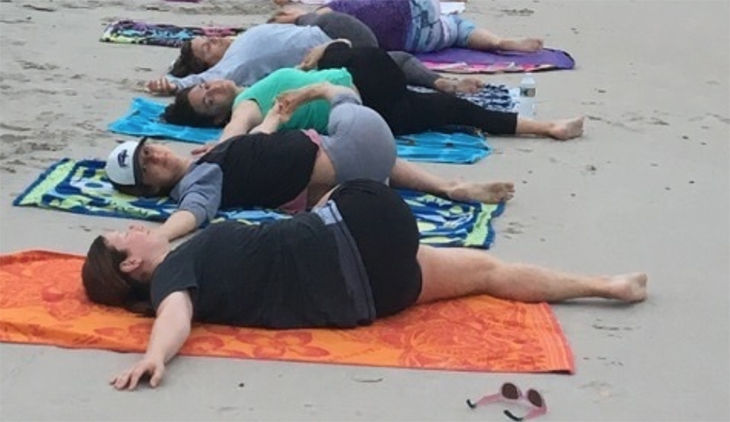 Connect to the earth and other yogis while challenging your mind and body in your practice! 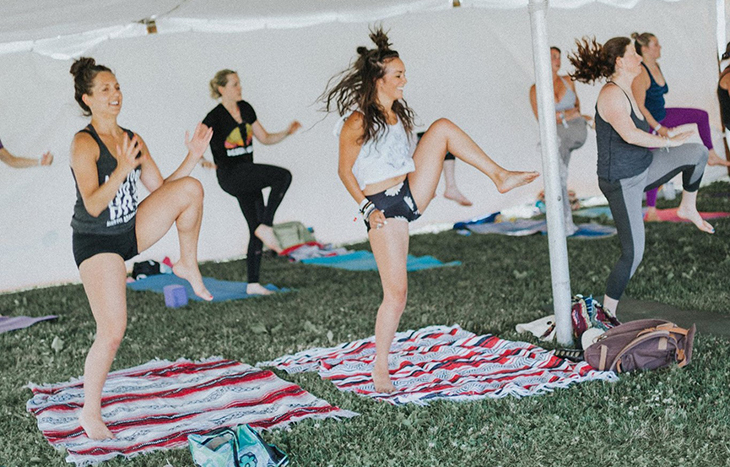 Unplug with a family-friendly weekend of camping, yoga classes, meditation, workshops, inspirational speakers, and mindfulness hikes at Vermont Be True Yoga Festival. You’ll feel nothing but authenticity at this yoga festival, with grounded hosts and special guests and yoga for all levels. Kids under 12 are free! Going on its sixth year, Floyd Yoga Jam brings together art, yoga, music, community, and nature. You’ll be blown away by views of the Virginia Blue Ridge Mountains and find peace in that cool mountain air. After your day at the festival, unwind with evenings spent singing and dancing with your festival community. 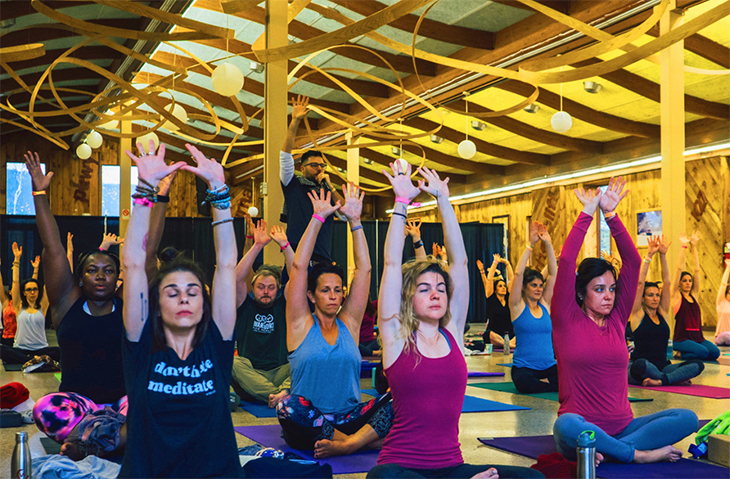 In its fourth year, Love Yoga Fest aims to bring together like-minded yogis in a community of love and support with the goal of creating a life-shifting experience. 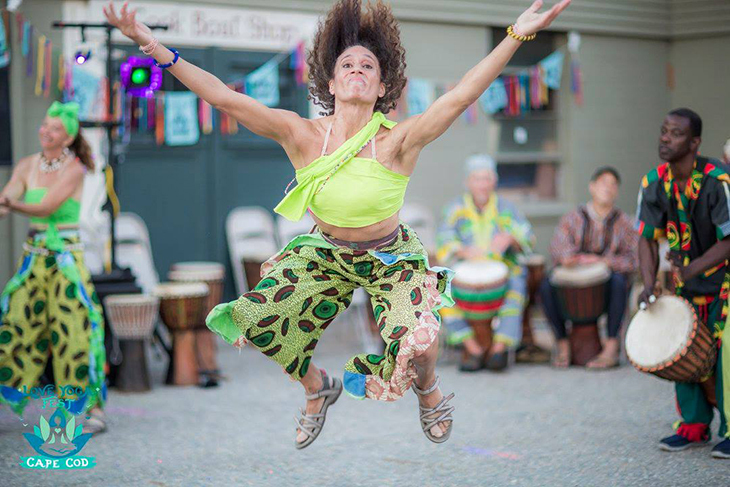 What makes Love Yoga Fest unique is their lineup of performers – dancers, drummers, musicians, artists, and more that will inspire you and contribute to the sense of freedom at the festival. Escape to the fall colors of the Catskill Mountains for Ahimsa Yoga and Music Festival. With special guests like Seane Corn, Sri Dharma Mittra, MC Yogi and more, you’ll definitely be in great hands. Enjoy sacred music, chanting, and plenty of workshops to help you deepen your practice. Make sure you sign up for the meditation hike! These yoga festivals in the East will have you singing, dancing, and shaking your asana with all your best new yoga buddies. Enjoy your time relaxing and rejuvenating to return to life with renewed excitement. 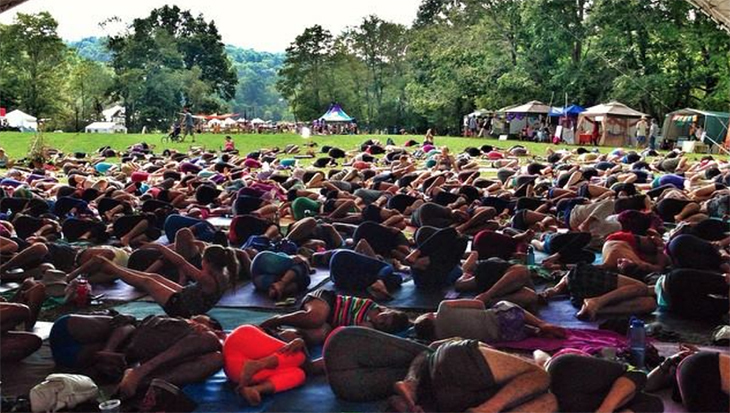 What yoga festivals in the East do you love? It’s finally time for this year’s yoga festivals to start lining up. 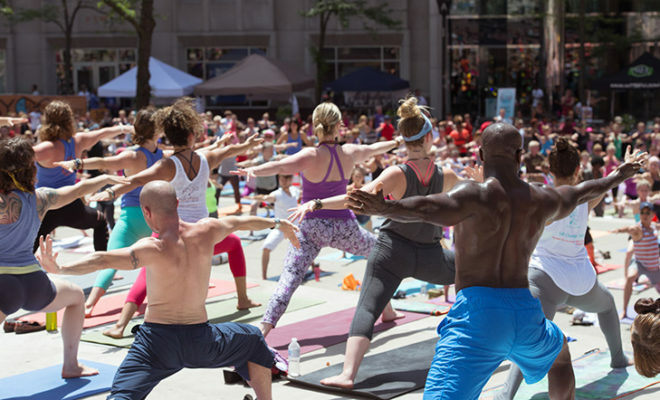 Use this list to help you plan which yoga festivals you’ll attend in the Midwest. 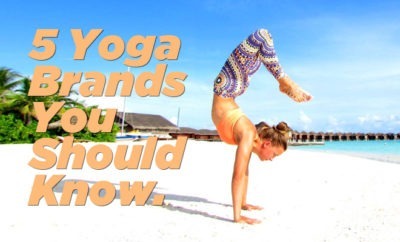 There are currently over 50,000 registered yoga teachers and hundreds of yoga festivals happening each year. So how do you get asked to teach at one?